November 13, 2013 – Algona, WA – Vision X Lighting, a leading global manufacture of automotive and industrial lighting solutions, is pleased to announce the release of it’s new 2014 Product Catalog. 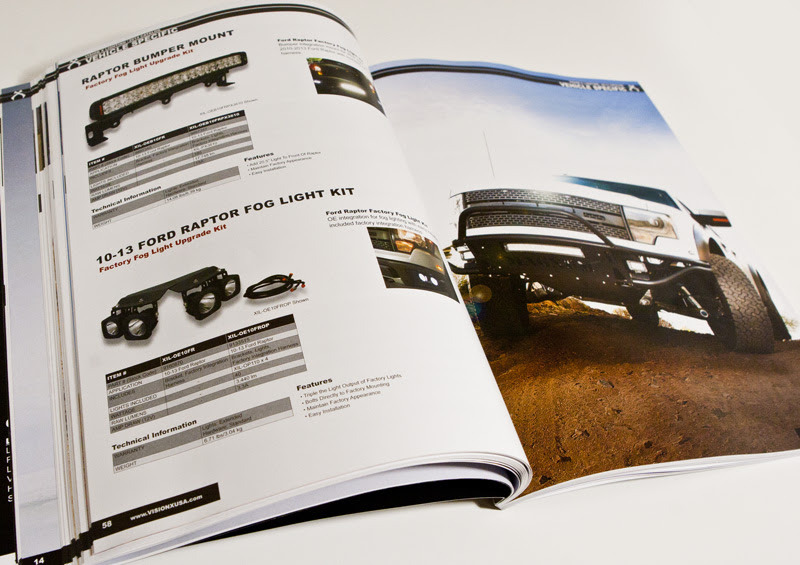 The 148 page, full color, comprehensive guide features the vast Vision X product line of premium LED lights, HID lights, Halogen lights, Accent lights & Accessories. A quick turn of the page opens readers to understanding Vision X Lighting’s thick heritage for creating lighting solutions through continuous improvement, product testing, certifications and investment into state-of-the-art manufacturing facilities. 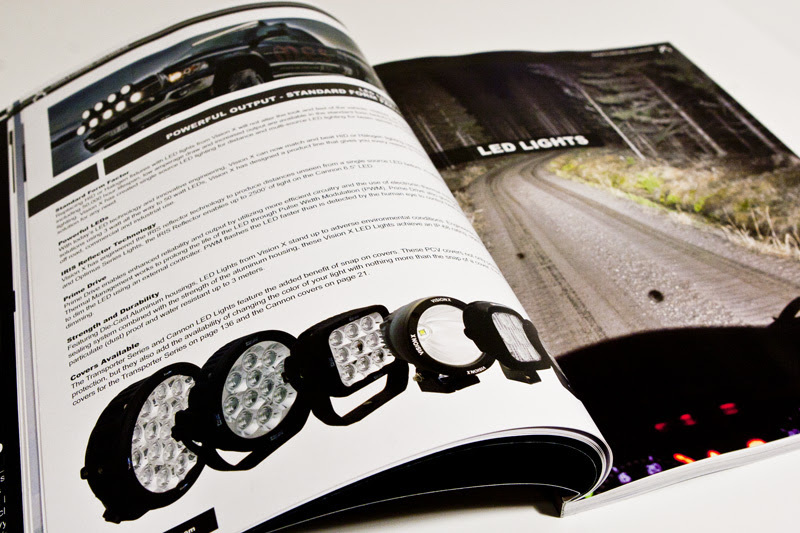 The catalog’s detailed Lighting Technology section can put the consumer at ease from industry jargon with clear explanations of Lumens, Raw Lumens, Effective Lumen Output, Beam Patterns, Usable Light, and Lux Charts; creating an informed and powerful consumer when it’s time to choose the right light for the application. The new catalog layout provides a quick and intuitive access to the major lighting categories including the advantages of each type of Vision X lighting whether it’s LED, HID or Halogen. The LED Lighting category is also dissected to help identify the right product for the application: Standard Form Factor Lighting, LED Pods, LED Bars, LED Work Lights and Vehicle Specific applications. Vision X Lighting’s growing LED Vehicle Specific line is featured on consecutive pages of products for Jeep JK, Ford Raptor, Ford SuperDuty, Chevrolet Silverado, GMC Sierra, Dodge Ram and Toyota Tundra. These plug and play products are boosting light output with the comfort of an easy installation for today’s most popular vehicles. “For the 2014 Catalog we went back to the beginning, explaining the technologies, educating on LED lighting, and adding modules for each type of lighting. We know that if the consumer takes one look at this catalog, they will be blown away by the large number of quality products we manufacture. If there’s an application, we likely have the best light for the job.” – Cameron Bushaw, Business Manger – Vision X Lighting. For a printed copy of the catalog, please contact a Vision X sales associate (800-994-4460) or your local Vision X dealer.